Lindau Alumni of the 68th Lindau Nobel Laureate Meeting came together for a follow-up retreat in Frankfurt, Germany, in November 2018. Initiator and co-organiser Tanja Bhuiyan recaps a weekend that epitomises the Lindau Spirit below. 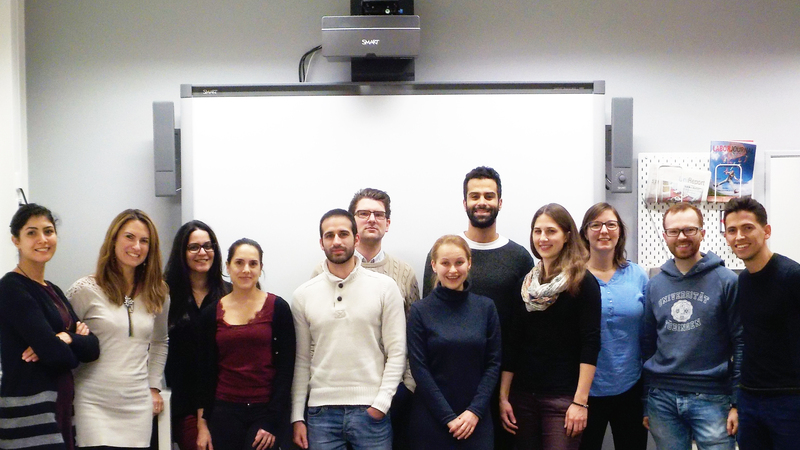 The group is already planning the next retreat for Lindau Alumni with a medicine/physiology background, which will take place 19–22 September 2019. If you’re interested in helping organise or in attending the retreat, please contact alumni manager Christoph Schumacher. When I arrived back home from the Lindau Meeting in 2018, I felt happy and sad at the same time. Happy, because I had just spent one of the best weeks in my scientific life so far, and sad because I feared that this time would never come back. In Lindau I met young scientists with whom I really shared something: the passion for science, the motivation to transform science into a more collaborative and less competitive endeavor, and our views about work-life balance in academia. However, since we had such diverse scientific backgrounds, it was unlikely that we would meet again by chance to follow up on our inspiring discussions. Confronted by these mixed feelings, my boyfriend told me: “Hey, why don’t you organise a meeting with those young scientists from Lindau?”, and the idea to organise a Lindau Alumni retreat was born. 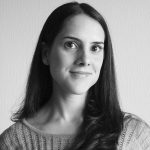 Milena Bertolotti, another Lindau Alumna 2018, who is also a postdoc in Freiburg, immediately agreed to help me organise it. We contacted our friends from Lindau, and they were really excited about the idea of a retreat, therefore we soon agreed on a date and location: 16–18 November 2018 in Frankfurt, Germany. In addition to Milena and myself, ten other alumni confirmed their participation: Mozhgan Dehghan Harati (University of Tübingen), Hadir Marei (Goethe University Frankfurt), Peter Jani (German Rheumatism Research Center, Berlin), Álvaro Muñoz-López (Technical University of Dortmund), Mohamed El-Brolosy (Max Planck Institute for Heart and Lung Research, Bad Nauheim), Svitlana Rozanova (University of Lübeck), Anna Theresa Kunert (Max Planck Institute for Chemistry, Mainz), Theresa Rauschendorfer (ETH Zürich), Tim Schilling (University of Tübingen) and Rafael Freitas (Bernhard Nocht Institute of Tropical Medicine, Hamburg). Milena and I were really moved to see the willingness of everyone to travel from all over Germany and Switzerland, at their own expense. We put together a meeting programme that was full of seminars and activities, from Friday evening till Sunday afternoon. Also, Hadir arranged the venue for our seminar session at the Institute of Biochemistry II (IBCII), Goethe University Frankfurt, with the support of Prof. Dr. Ivan Dikic, the Institute’s director, who kindly agreed to host our event. Finally, we rented an apartment close to Frankfurt, and our first retreat was well on its way! As soon as everyone arrived on Friday evening, we had our introductory meeting during which we had enough time to reconnect, while enjoying dinner and mulled wine. Early next day, we started our seminar session where everyone gave a 15-minutes presentation on his or her research project, with broad introductions so that everybody could participate in the discussions. In the spirit of the Lindau Meetings, we wanted to embrace other fields and hear suggestions and comments from our colleagues. This proved very successful with the talks spanning a wide range of topics including immunology, cancer and infection, genetics and epigenetics, regenerative biology, atmospheric sciences and neuroscience. In fact, due to our enjoyable and insightful discussions, we decided to postpone our last session dedicated to ‘Mental Health in Academia’, prepared by Mozhgan and Peter, to a later time. This topic is very dear to my heart and we all agreed that broader topics like these should be discussed intensely at our next retreat. To conclude the day, we went for dinner and drinks in a pub in the city center. Milena and I were particularly flattered when the other participants surprised us with flowers and chocolate to show their appreciation for our efforts in organising this retreat. To end the meeting on the next day, we explored Frankfurt together. 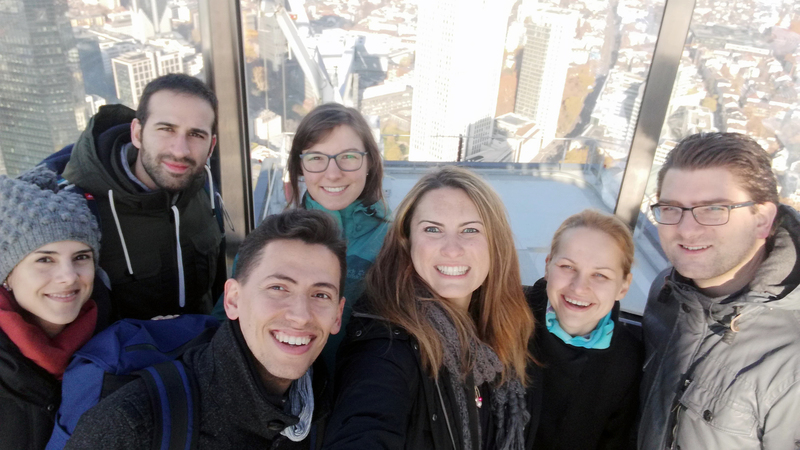 We went to the Main Tower and enjoyed the view of the city in the beautiful but chilly weather and had lunch in a local restaurant, until it was already time to say goodbye. I think that what made this event special was the diversity of scientific backgrounds as well as the varying experiences of the participants. We were united in our interest in discussing topics outside the realm of our day-to-day work and in sharing our personal and professional experiences. We truly believe that events like these improve science! Now I know that organising such a meeting is possible and that, following our motivation, we can turn it into an annual event. With that in mind, parting from the other Lindau Alumni didn’t make me sad anymore as I’m sure we will meet again.